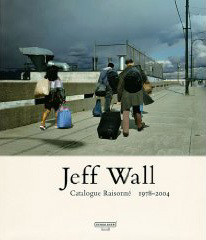 Jeff Wall: Catalogue Raisonne 1978-2004. Photographs by Jeff Wall. Edited by Theodora Vischer and Heidi Naef. Essay by Jean-Francois Chevrier. Steidl / Schaulager, Gottingen, 2005. 500 pp., 120 color and 92 duotone illustrations, 9Â¾x11Â¾”.